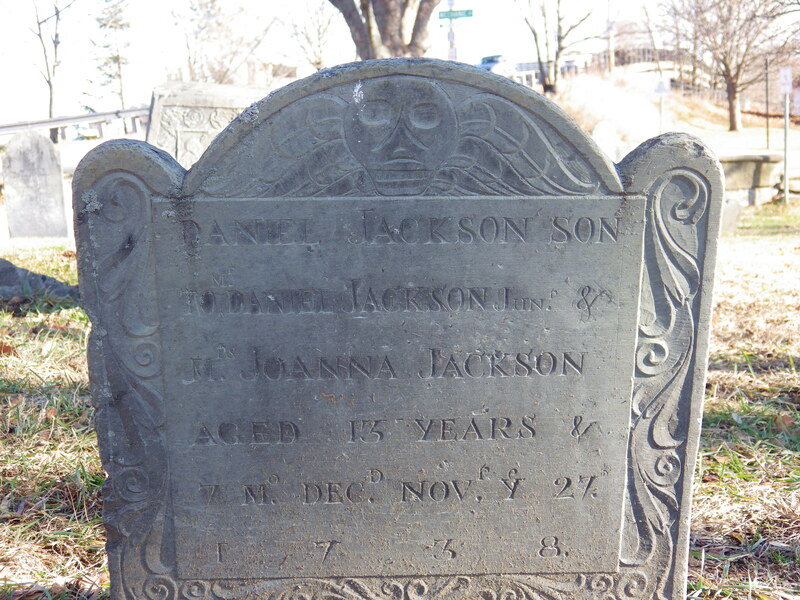 was born April of 1725 to Daniel and Joanna Jackson. Some ancestry sources claim Joanna’s maiden name to be ‘Bennett’. I cannot find any documentation of this. (Father) Daniel Jackson was a Mariner/Merchant. He was born March 16, 1699 and died December 23, 1774. 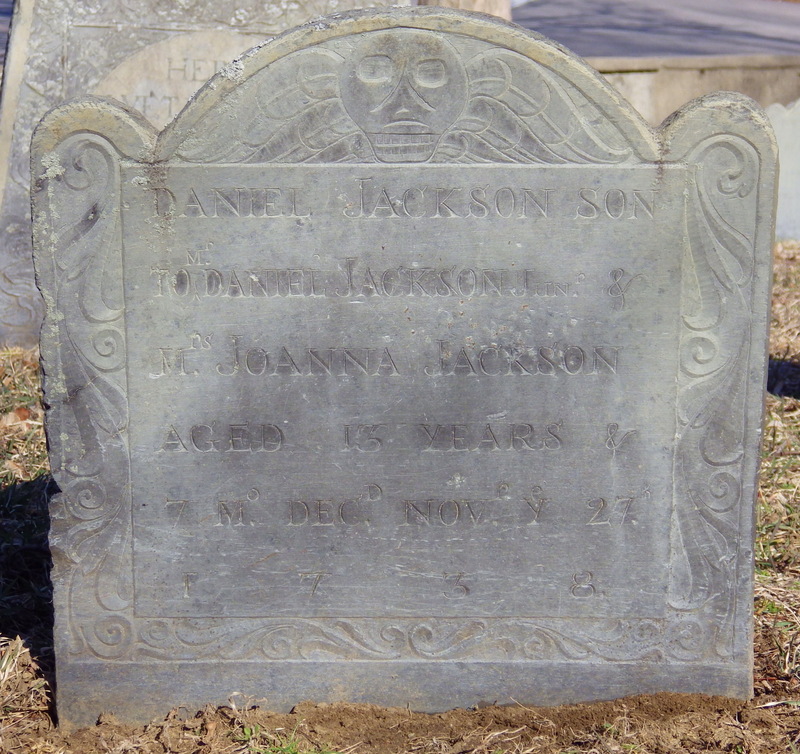 Daniel died November 27, 1738 at the age of age 13 years 7 months.